Muttenz, October 17, 2013 – Clariant, a world leader in specialty chemicals, expands its toolbox of cutting-edge, efficient phosphinate flame retardants with new tailor made synergistic formulations for thermoplastics used in demanding environments. Exolit® OP 1400 (TP) for polyamides and Exolit OP 1260 (TP) for polyesters offer the plastics industry new opportunities to improve both fire safety and processing and mechanical performance at the same time. 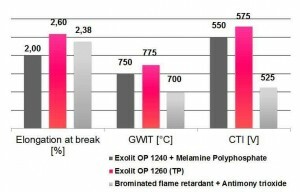 Exolit OP 1400 (TP) provides enhanced thermal stability to polyamides which makes it especially suitable for high processing temperatures and compounds that are injection molded into complex cavities. This avoids problems such as polymer degradation, formation of decomposition products and discoloration, which can occur during processing in case of insufficient thermal stability of the flame retardant additive. 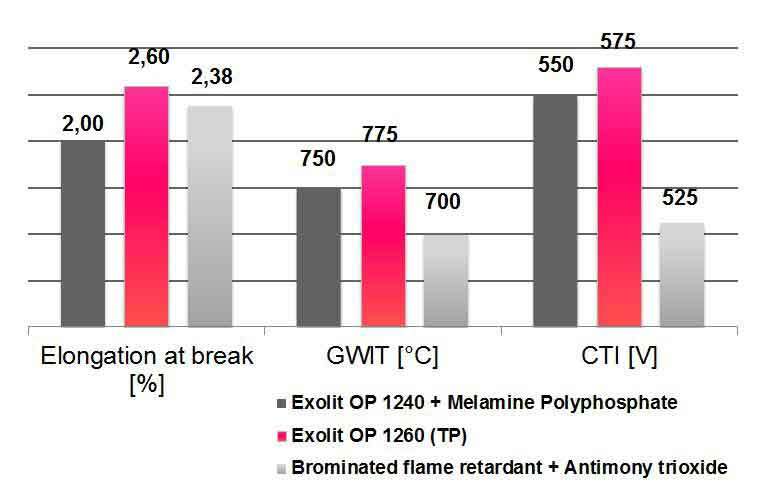 Exolit OP 1260 (TP) addresses fire safety and the performance requirements of PBT for specific applications without the need for an additional flame retardant additive. It enhances melt flow and improves the mechanical properties of PBT used in injection molding, achieving UL 94 V-0 even at 0.4mm thickness.For more information on both developments visit Clariant at Hall 8a Booth #J11 at K 2013.